With China’s Lunar New Year Gala TV-show going global, parades and Lion Dances in hundreds of Chinatowns around the globe, Lunar New Year concerts by Lang Lang (Toronto), and Yo-Yo Ma (New York), and NBA-teams wearing special Chinese New Year jerseys, it is difficult not to note that China is ringing in the Year of the Goat. The growing number of extensive Chinese Spring Festival celebrations around the world is a result of Chinese cultural diplomacy as well as companies around the world trying to get a piece of the Chinese pie. And, by the way, not just companies reach out to China and overseas Chinese. British Prime Minister Cameron too extends his best wishes to the Chinese people in an open letter in which he draws attention to British brands and universities. And even Prince William, who will visit China next month, wishes people in China Happy New Year, in Chinese. More than 5 million Chinese will travel abroad during this year’s Spring Festival. The majority (90%) of these tourists will head for Asian destinations but the numbers travelling to Europe are also on the rise. The most popular European destination this time of the year is Italy. To lure Chinese travelers, department stores in major cities, from Tokyo to Amsterdam are offering special Spring Festival activities and customer services, and luxury brands such as Mulberry and Swatch have created special Chinese New Year items: a Chinese New Year Mini Cara Delevingne Bag and Goat Keepers watch respectively. Restaurants create Lunar New Year menu’s, universities open their doors for Chinese festivities and Municipal Boards and Trade Promotion Councils around the globe are happy to host Chinese New Year receptions. Since 2010, the Chinese Ministry of Culture has been officially promoting Chinese New Year celebrations abroad. This year it organizes, for example, Lunar New Year cultural festivals in cities abroad, and it endorses programmes like the fireworks show over the Hudson River in New York, which is organized by the prestigious China Central Academy of Fine Arts (CAFA). According to Chinese Minister of Culture, Luo Shugang, more than 800 programs of the “Happy Chinese New Year 2015” have so far been staged in 320 cities in 118 countries and regions worldwide. New this year is a global contest in which contestants can post essays, photos and videos about the Spring Festival to social media networks. Overseas Chinese communities play an important role in creating global awareness of the festival and this is also the time of the year for Chinese leaders and Chinese embassies abroad to reach out to the more than 50 million overseas Chinese in efforts to strengthen ties between them and their motherland. Whereas commercial interests may be a major reason behind the increased attention the world is paying to Chinese New Year, the Chinese government is very happy with all the positive attention that these celebrations draw to China and Chinese culture. The Chinese Ministry of Culture, therefore, can be expected to continue expanding its Chinese New Year program. Though successful, the program can use some fresh ideas, especially if policy-makers want to reach young audiences. For inspiration they could take a look at taxi-hailing app Uber, who offers a Chinese New Year Special Service, allowing Chinese customers to order lion dancers to their door. Today (02/16/2015) Chinese newspapers reported that the Silk Road Fund has already begun its work and that the first board meeting of the Fund took place on 6 January of this year. The fund aims to raise 40 billion US dollars, 65% of which will come from China’s foreign currency reserves. The remaining 35% will come from the sovereign wealth fund China Investment Corporation (CIC) and two policy banks: China’s Export-Import Bank and the China Development Bank. The Fund enjoys the support of the Chinese government but here are still many uncertainties regarding its operation and there will be numerous challenges ahead. Previously established Chinese funds, such as the China-Africa Development Fund (CADF) and the China-ASEAN Fund, have encountered many problems. According to Chinese magazine Caixin, CADF and the China-ASEAN Fund have so far failed to raise the intended amount of money and have had difficulties to gain local authorities’ support for projects. As a result, Caixin writes, the China-ASEAN Fund has up till now raised only 1 billion instead of its goal of 10 billion US dollars and the CADF has invested less than half of the money it has under its management. In a recent interview to the First Financial Daily 第一财经报 (published in the Chinese edition of the Global Times, 02/16/2015), the Governor of China’s Central Bank, Zhou Xiaochuan, provided more insight into the operation of the Silk Road Fund. According to Zhou the Silk Road Fund is not a sovereign wealth fund but a private equity fund aimed at long-term investments. The fund is denominated in foreign currency and welcomes domestic and foreign investors. Zhou emphasized that the Silk Road Fund will not become a competitor to CIC, China’s Export-Import Bank and the China Development Bank, but will seek close cooperation. As was recently announced, the China Development Bank, will no longer function as a commercial bank but will return to its original function as a policy bank, which provides loans at the request of the government. This close cooperation with policy banks raises the question if the Silk Road Fund will be able to judge projects on the basis of commercial viability. Zhou further indicated that the recruitment of good staff is one of the major challenges for the Silk Road Fund. The Central Bank has helped the fund getting established, says Zhou, but it now needs to function independently. Staff members should not only possess financial expertise but should also have knowledge of the political and economic situation in the countries in which the fund intends to invest. The staff should furthermore include people that speak a relevant foreign language. The search for talent will continue for some time but several key positions have now been filled. The Silk Road Fund is led by prominent economist Jin Qi, assistant of Central Bank Governor Zhou Xiaochuan. Jin is believed to have much relevant knowledge and experience. The same is said of Wang Yanzhi of the State Administration of Foreign Exchange (SAFE), who has been appointed as General Manager of the fund. A third appointment concerned Zhu Surong, who is the head of the Central Bank’s branch office in Xinjiang Uyghur Autonomous Region in Northwest China, as a member of the Board of Directors. The question is whether the Silk Road Fund will be able to avoid the problems met by previously established Chinese funds but given the prestige involved in the Silk Road plans, the Chinese government will do everything possible to have the fund achieve its objectives. Last week it was announced that Dutch Prime Minister Mark Rutte will visit China from 24-29 March 2015. Besides visiting Shanghai and Shenzhen, he will also travel to the South-Chinese island of Hainan to participate in the Boao Forum for Asia. Why would Prime Minister Rutte be interested in attending a forum that is hardly known in Europe? The Boao Forum – named for the Chinese coastal city of Boao where the forum takes place – was officially established in 2001 by a number of Asian countries including China, Australia, Japan, and the Philippines, with the aim to promote regional development and integration. From the beginning, however, China has been the driving force behind the organization. The annual forum for government leaders, politicians, business leaders, Nobel laureates, and media takes does not only take place in China, its agenda is also largely shaped by China. Although the Board of the organization is chaired by former Japanese Prime Minister Yasuo Fukuda, its secretariat is located in Beijing and the Forum enjoys continued attention and support from the Chinese government. The format of the Forum is highly reminiscent of the World Economic Forum in Davos, and that is exactly China’s intention. Beijing hopes that the Boao Forum will become an equally successful Asian counterpart of the Davos Forum and it is not unlikely that the forum will one day achieve that goal. It is the largest international forum in Asia and the list of participating leaders – especially from the Asian region – and CEOs of major banks and companies like Samsung, KPMG, Microsoft, Gazprom and Lenovo, is expanding year by year. In 2014 the list included the prime ministers of China, Australia, South Korea and Pakistan. The list of high-level participants in this year’s forum is not yet available but China already announced that Chinese President Xi Jinping will give a keynote speech at the official opening of the Forum on 28 March 2015. The Boao Forum is a good opportunity for Prime Minister Rutte to do business with several Chinese and other Asian leaders in a short period of time and to meet with bank directors and CEOs of major companies. These meetings will take place in the Corridors of the Forum: with government leaders in so-called ‘bilaterals’, scheduled short meetings; with others more casually during meals and forum sessions. As leaders of the major European countries, such as Merkel, Hollande and Cameron, will not attend the forum, relatively more time will be available for the Dutch prime minister. In addition, with his participation in the Boao Forum, Prime Minister Rutte will create goodwill in Beijing. As it is China’s ambition to make the Boao Forum as successful as Davos, the participation of a government leader, especially one from outside the Asian region, will be appreciated by the Chinese host. A win-win situation, as they call it in China. What can premier Rutte learn at the Boao Forum? Initially the Boao Forum focused on economic issues but in recent years politics and security have been on the agenda too. The theme of this this year’s Forum is ‘Asia’s New Future: Towards a Common Destiny’. 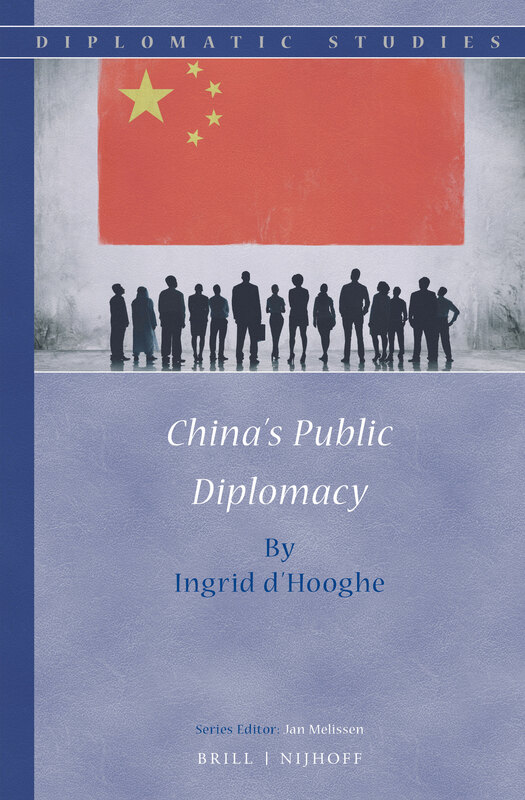 This title supports the overall message that China wants to convey to Asia, namely that China aims for a common future and is not seeking dominance in the Asian region. Apart from topics such as macroeconomic developments, industry trends and technological innovation, the program will include the subjects of religion, agriculture, law, and history. And in case Prime Minister Rutte needs a break, he could try to escape from the conference venue for an hour and take a swim in the South China Sea. Part 1 of a series on the Chinese Silk Road. Creating a new Silk Road, or as China calls it, “One Belt, One Road”, is one of China’s official priorities for 2015. The “Belt” is the Economic Belt of the Silk Road, a restoration of the ancient trade routes that connected China in the past with Europe and the Middle East; the “Road” refers to the “Maritime Silk Road of the 21st Century” that will connect China, via the Straits of Malacca, with South and Southeast Asia, Africa and Europe. This year China plans to make great strides to realize its ideas. Last Sunday, 1 February 2015, Chinese Vice Premier Zhang Gaoli gathered a group of policymakers to list the priorities of the Silk Road strategy: the construction of infrastructure, facilitation of investment and trade, financial cooperation, and cultural exchange between the countries on the Silk Road (s). In practical terms, this means that China will build many railways, including high-speed railway lines, roads, bridges, ports and Internet connections. China has long invested in the construction of infrastructure on the Eurasian continent, but these projects are now brought together under the umbrella of the Silk Road initiative, which enables China to raise more funds and take a more strategic approach. That China is serious about the Silk Road initiative is also illustrated by last week’s announcement of the creation of a second fund that will contribute to the realization of the new Silk Road: the Energy Development Fund. The fund aims to raise 20 billion US dollars and will focus on energy infrastructure in countries along the Silk Road. The first fund was established in November 2014: the Silk Road Fund, to which China will contribute 40 billion US dollars. Whether the intended capital will actually be raised and invested, however, remains to be seen (more on that in a future episode of this blog). China thus has big plans for the new Silk Road but while Europe has a lot to gain or lose under these plans, Brussels seems to pay little attention. Chinese leaders stress that all the countries on the Silk Road will benefit from improved connectivity and that China does not seek regional dominance, but will rather contribute to regional and international peace. This does not stop Beijing, however, from ensuring that China itself will profit the most from its plans. The Silk Road initiative is part of a broad and well-thought-out strategy that can be viewed as an element of China’s response to the US “pivot to Asia”, as Zheng Wang writes in The Diplomat or, as Min Ye argues in Foreign Policy, as an answer to the US-led initiative for a Trans-Pacific the Partnership (TPP). It seeks to give new impetus to China’s’ “go out” policies – the international expansion of Chinese companies – and to strengthen China’s international economic, political and cultural influence. The Chinese government has a strong interest in further integration into the world economy through intensified economic and trade relations with countries on the Eurasian continent, especially when these relations boost Western China’s less-developed provinces’ role as economic gateway from Eurasia to China. Furthermore, better connections and relationships with Eurasia contribute to more efficient and safer energy shipments to China. Last but not least, the construction of infrastructure in countries along the route will help Beijing to get rid of its excess foreign currency reserves and excess products, such as steel, and it will raise much needed financial support for Chinese State Owned Companies. China’s Silk Road Plans with regard to Europe currently focus on a strengthening of ties with Central and Eastern Europe, the development of the Greek port of Piraeus as a major gateway to Europe for Chinese goods, and the expansion of direct railway links between China and Europe. In 2012, Beijing took the initiative to establish the ’16 + 1 ‘platform for cooperation with 16 Central and Eastern European countries. China offered investment, trade opportunities and a credit line of 10 billion euros and called for closer cooperation in the field of science and technology. Last December, at the third ’16 +1 ‘summit in Belgrade, China’s Premier Li Keqiang announced the creation of an investment fund for Central and Eastern Europe of 3 billion euro. This economic support is warmly welcomed in these 16 countries, many of which are economically dependent on Europe but believe to have little influence on policymaking in Brussels. EU policymakers follow these developments with suspicion. They are worried that the position of European institutions in Brussels will be undermined and that the cohesion within the EU will be negatively affected. At the same time, however, they disregard potential gains of Silk-Road cooperation with China for Europe as a whole. According to the 16 countries involved, the ’16+1′ platform does not cause any harm to cooperation within the European Union. They argue it just provides much needed economic support and political attention to Central and Eastern Europe. China’s plans for the reinforcement of its connections with Greece are part of the Maritime Silk Road and focus on the extension of activities in and around the port of Piraeus. Thanks to the investments and presence of the Chinese shipping giant China Ocean Shipping Group Company (COSCO) in Piraeus from 2009 onwards, the Greek port has become one of the fastest growing ports in Europe. Chinese containers filled with Chinese products find their way into Europe through the port of Piraeus and regional railways. In order to improve the links between the port of Piraeus and the European inland China currently finances and builds various railway lines in Central and Eastern Europe. During the aforementioned “16 +1” summit in Belgrade last December, China announced that it will start in mid-2015 with the construction of a high speed railway line between Budapest and Belgrade, a section that forms an important part of the route Greece-Macedonia-Serbia-Hungary-Western Europe. Over time, the growing importance of the port of Piraeus as a gateway to Europe for Chinese products may affect business in Western European ports that function as gateways to Europe, including the Dutch port of Rotterdam. China’s activities in Greece are not limited to the port of Piraeus. China also invests, for example, in Greek shipbuilding and airports, and it supports activities of Greek small and medium enterprises in China. Given the large economic benefits of cooperation with China, Beijing is confident that it will not be hit very hard by the policies of the new Greek government, such as the announcement of Greek Premier Tsipras that the privatization of Greek ports will be rolled back. As a third element of the Silk Road strategy in Europe China is steadily expanding direct rail links between Chinese and European cities. Freight train lines in operation include those from China to Germany (Chongqing-Duisburg and Zhengzhou-Hamburg), the Netherlands (Lianyungang-Rotterdam), Spain (Yiwu-Madrid), Poland (Suzhou-Warsaw and Chengdu-Lodz) and the Czech Republic (Wuhan-Pardubice). The freight trains are currently bringing goods from China to Europe but not vice-versa, they return to China largely empty. An important reason for this is that transport of goods to China by rail is economically viable for only a limited number of products but Europe could do more to investigate how the European side can benefit from these existing connections. China’s Silk Road Strategy is still in its infancy. There are many obstacles that need to be overcome before China will make a sound profit on all its investments. Whether or not Europe will gain from the Silk Road initiative largely depends on Europe itself. For a start, policymakers in Brussels and West-European capitals could carefully study the Chinese Silk Road plans, not only in order to avert any negative consequences, but, more importantly, to look for opportunities to participate in these plans and ensure that they will benefit Europe too. -Dragan Pavlicevic, ‘China’s Railway Diplomacy in the Balkans’, China Brief, Vol. 14 Issue 20 (October 23, 2014).